FIRMZOL is a cationic modified asphalt emulsion that does not easily stick to the tires of construction machines and also improves the adhesive strength between layers. It conforms to the Japan Emulsified Asphalt Association PKM-T(non-stick type asphalt emulsion). Compared to the general tack coat emulsion (PK-4), FIRMZOL has the following features. 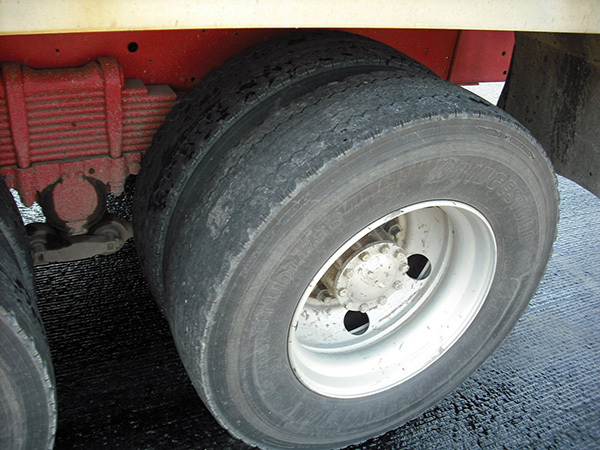 Does not easily stick to the tires of construction vehicles, so that contamination of the road surface will not occur. Has outstanding adhesive ability after breaking, which enhances the paving durability. The breaking time is short, so that when laying paving it is possible to quickly move on to the next process. In addition to use as a normal tack coat, it is suitable for use in the following kinds of locations. Locations such as toll gates and tunnels where there will be a possibility of concrete paving surface contamination. 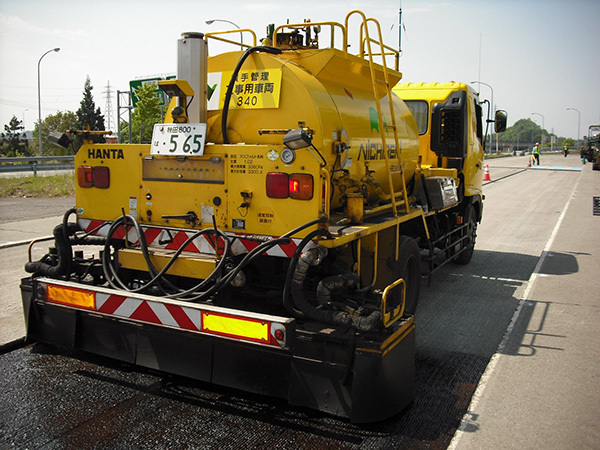 Locations such as porous asphalt paving, composite paving, and bridge surface paving where a high adhesive strength is required. Slopes with steep gradients, intersections, and curves which are subject to twisting and high braking loads.